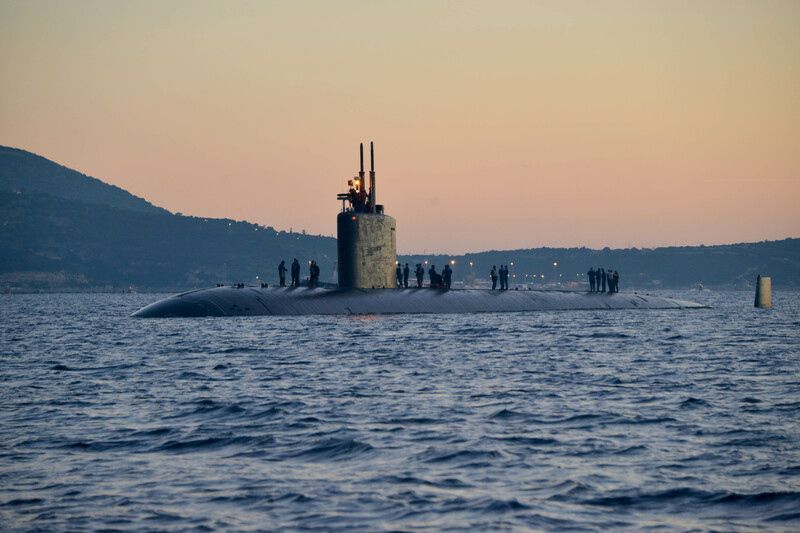 Last week’s 2018 budget request lays the groundwork to get attack submarine USS Boise (SSN-764) into an overdue maintenance availability in 2019, with a private shipyard taking over the maintenance effort to get the sub out of its two-year holding pattern. Boise has been used over and over again during this past year as the example of the Navy’s public shipyard backlog. The four yards are struggling to get ballistic-missile submarines (SSBNs) out on time, with the aircraft carriers being the second priority – meaning the attack submarine fleet is facing the brunt of the backlog. 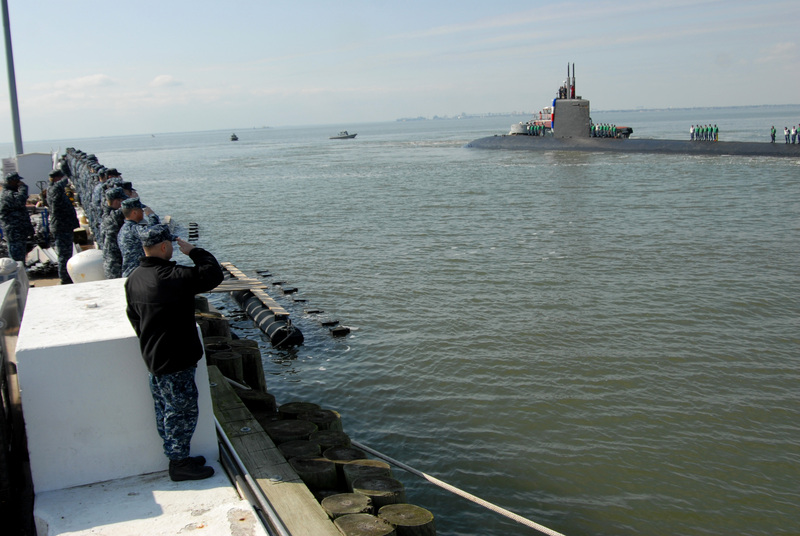 In the case of Boise, the Navy didn’t bother to keep the sub at the repair yard, allowing the sub’s dive certification to expire as it sat pier-side at Naval Station Norfolk. On the other hand, in the case of USS Albany (SSN-753), the other frequently used example, the attack sub entered the yard and spent 48 months there instead of a planned 24, with the workforce distracted by SSBN and CVN work elsewhere in the yard. Naval Sea Systems Command (NAVSEA) commander Vice Adm. Tom Moore told USNI News today that Boise’s availability would be competitively bid between Huntington Ingalls’ Newport News Shipbuilding and General Dynamics Electric Boat, the two yards that build and maintain nuclear-powered submarines. He said the yards didn’t have the capacity to take on another submarine maintenance availability earlier than 2019 – Electric Boat has the USS Montpelier (SSN-765) and Newport News Shipbuilding has USS Columbus (SSN-762) – so the Navy will devote 2018 funding to the Boise maintenance planning work and will fund the availability in 2019. Crew members of the Los Angeles-class attack submarine USS Boise (SSN 764) render honors to the Los Angeles-class attack submarine USS Montpelier (SSN 765) as Montpelier returns to its homeport at Naval Station Norfolk from a scheduled deployment to the U.S. European Command area of responsibility on Feb. 17, 2012. US Navy photo. A FY 2019 maintenance availability would amount to a two-and-a-half- to three-and-a-half-year delay in getting the attack submarine into its maintenance period. Tack onto that a year-and-a-half period between when the sub returned home from its last deployment, in January 2015, and when it was originally set to go in for maintenance, and the result is that many sailors – including current Commanding Officer Cmdr. Chris Osborn – will serve a whole tour aboard the ship without deploying overseas. The Navy has not said how much it would cost to complete the Boise maintenance availability at a private yard but has previously acknowledged it costs quite a bit more – a decision that forces the service to balance its limited operations and maintenance dollars with the high combatant commander demand for attack submarines. Despite the higher cost of having the availabilities completed at private yards, the Navy may have to continue doing this in the future – albeit with more advanced planning and better communication with industry – due to the magnitude of the shipyard backlogs, Moore told USNI News after an event today cohosted by the Center for Strategic and International Studies and the U.S. Naval Institute. “We always, going forward, want to keep this on the table as an option. I want to prevent another Boise,” he said.